Looking for a quick bite in the Instructional Centre? Invite your classmates and head over to Subway, Quesada, and Bento. With these options you can't go wrong! Need a boost to your day? Get one at Booster Juice! We are dedicated to providing you the premium smoothie experience that is energetic, fun, natural and downright addictive! At Colman Commons Dining Hall, there is always something for everyone. Located at Oscar Peterson Hall, featuring freshly prepared foods including stir-fry, pastas, comfort foods, sandwiches, burgers, with a salad bar and desserts. A wide assortment of beverages including Starbucks coffee are also available. Enjoy our delicious menu inspired by the basic elements of home cooking. Featuring daily entrées, sliders and stacker sandwiches along with perfect sides to complement your meal. Looking for a place to grab a quick bite? Visit us at Fair Trade Café, where you can indulge in a variety of homemade soups, tasty pastries, classic sandwiches, and of course Fairtrade coffee! This new hot spot is perfect for you to check out in between your classes. See you there! Did You Know: Fusion 5 is Canada's first certified gluten-free university food service station? We are proud to serve all of you here at UTM. Pick and build your own Asian box here at Fusion 5 in TFC. Travel around the world through the power of your taste buds. Each week at International Kitchen, enjoy featured authentic cooking of countries and regions around the world. We serve delicious gourmet pizzas, fresh salads, & homemade soups! You can also warm up with a fresh cup of tea or coffee, paired with a selection of sweet desserts! Looking for a quick slice? Pizza Pizza "always the best food, made especially for you". Bring your friends along between classes and hang out in TFC! Craving a burrito or taco? Check out Quesada for some great Mexican inspired flavours. "Bite into Quesada and you’ll experience The Joy of Mex." At Second Cup, we know that in order to provide the best coffee for our guests, we must continue to work in harmony with both the environment and people who provide us with the best quality coffee beans. Enjoy Second Cup Coffee Lattes and Cold Beverages at the Meeting Place! At Starbucks, we sample coffees from around the world more than 150,000 cups a year, in fact. We have to taste that many because we seek only the finest, richest and most interesting beans. So if you want to find the world's best coffees for yourself, your journey begins here. Whether you're looking for a wholesome breakfast or a late night snack, the Snack Bar at OPH has it all! 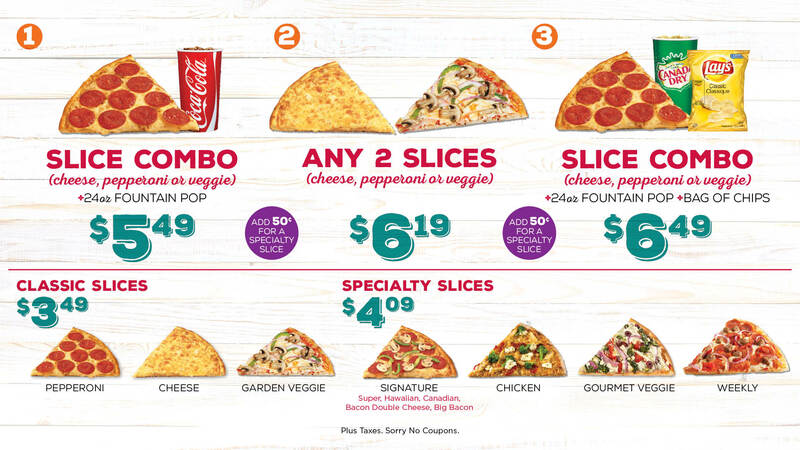 Don't miss our NEW delicious eats, including burritos, burgers, quesadillas, and much more! Start and end your day with a coffee at Tim's. This outlet offers danishes, donuts, croissants, muffins and specialty coffees. One of the most popular spots on campus. Tim's is open early to give you a head start on your day. Enjoy our Tim Hortons Express and our Grab & Go sandwiches, salads, and parfaits! Did You Know: UTM ranked in the Top 10 for Student Satisfaction with Availability for Locally-Grown Foods in Ontario in 2019? We are always inspired to serve local! Our Vegilicious culinary offerings are inspired by locally grown foods. We proudly serve you vegetarian and vegan here at Vegilicious.